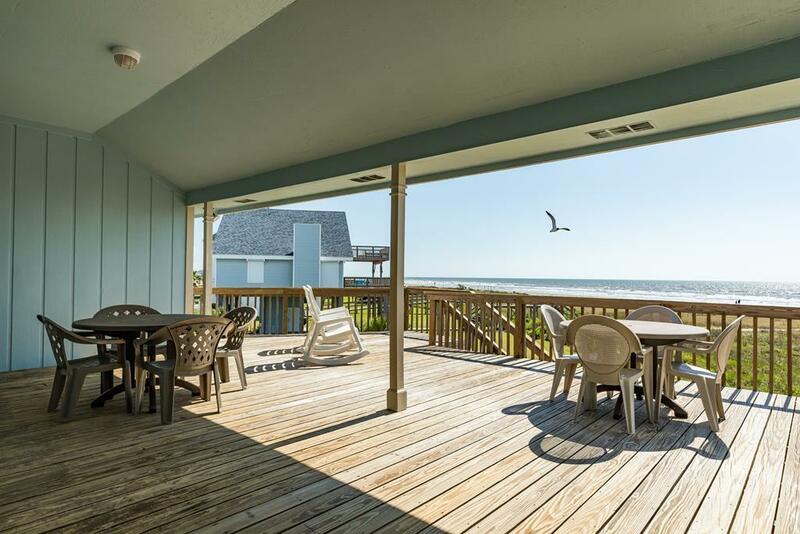 Endless beachfront Gulf views from the new 750 square foot deck! Full of updates: new living room furniture, fresh carpets , an updated kitchen, and new dining furniture. The wall of windows in the open living area showcases the stunning view, as do the king and queen bedrooms. 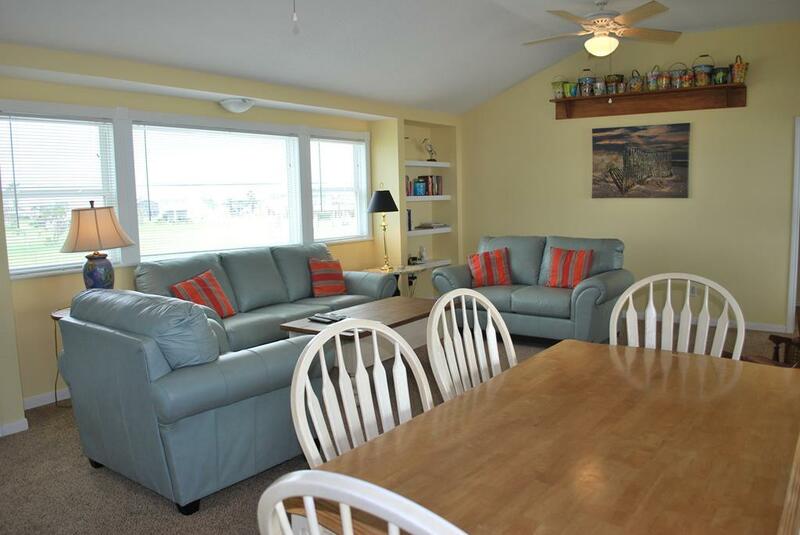 This comfortable vacation rental is definitely geared towards beach life! 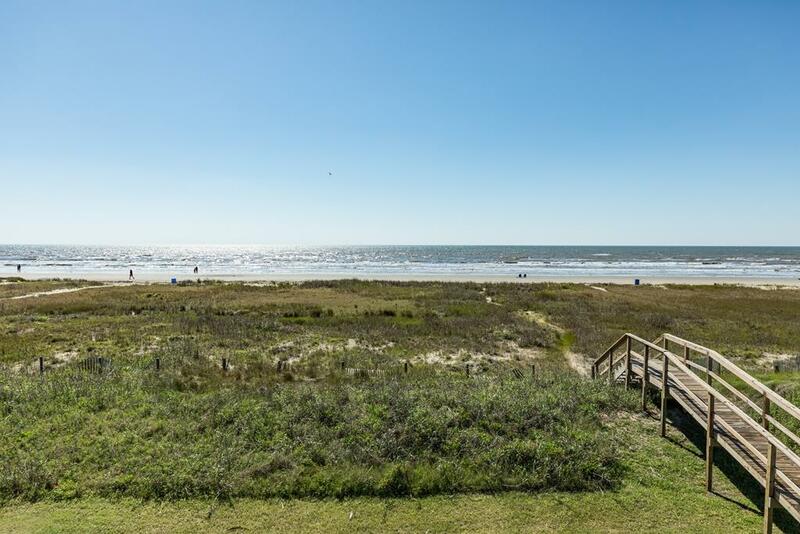 From the finished patio with a charcoal grill to the dune walkover at the edge of the yard –Above the Sea will be your favorite home away from home! Kitchen had sufficient equipment but no wine opener. Bring all condiments and supplies that are needed. Perfect house, very comfortable and laid back. 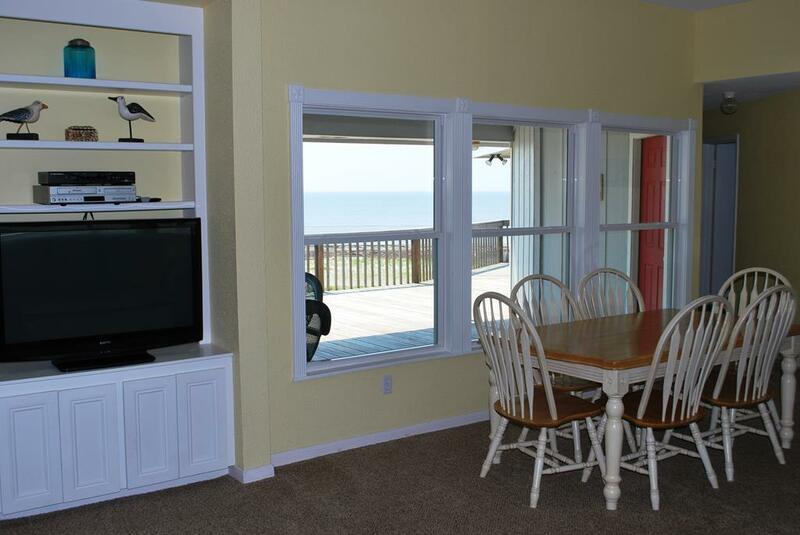 Great view, easy access to the beach, and an overall great layout! Everyone was very friendly! Even called to ck in us once we checked in to see if we needed anything! Very accommodating and comfortable. Definitely needs to increase window coverage -- sun comes in through blinds early in the morning (not always great if kids are up at 6:30 a.m.! ); evening sun can make the house hot. This property worked very well for our young family of 5. The kitchen did not have some of the basics though so you pretty much had to start from scratch there. The one and only issue we had was one of the outdoor light coverings was loose and would bang around when the wind blew from a certain direction. We ended up having to move the baby into a different room because the banging noise was waking her up. There are blinds on some of the windows but they don't block the sun very well. Some blackout blinds would help if people want to sleep past 6am...didn't matter too much for us because we have kids up early anyway! We can forgive those three pretty minor things because of the location. Right next to the beach so easy access and a lovely view from the deck. We would stay there again (just fix that light covering and grab some black out blinds)! 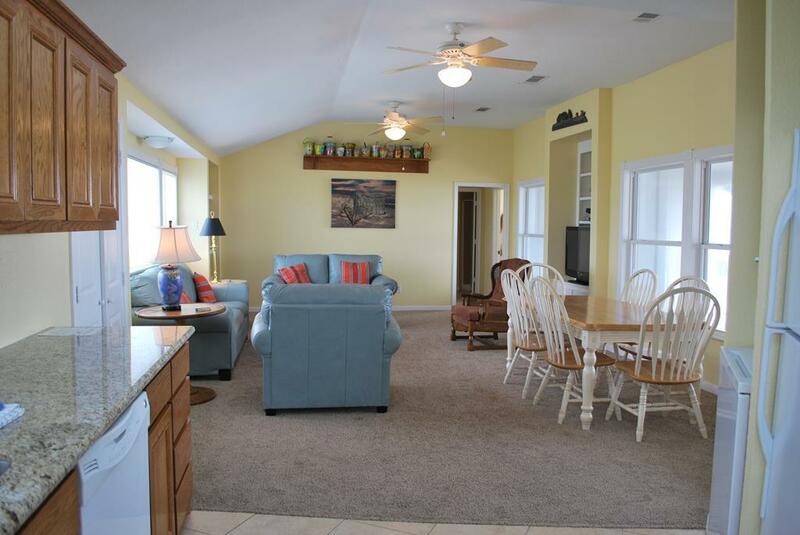 This is a great beachfront house with a dune walkover right on the property. 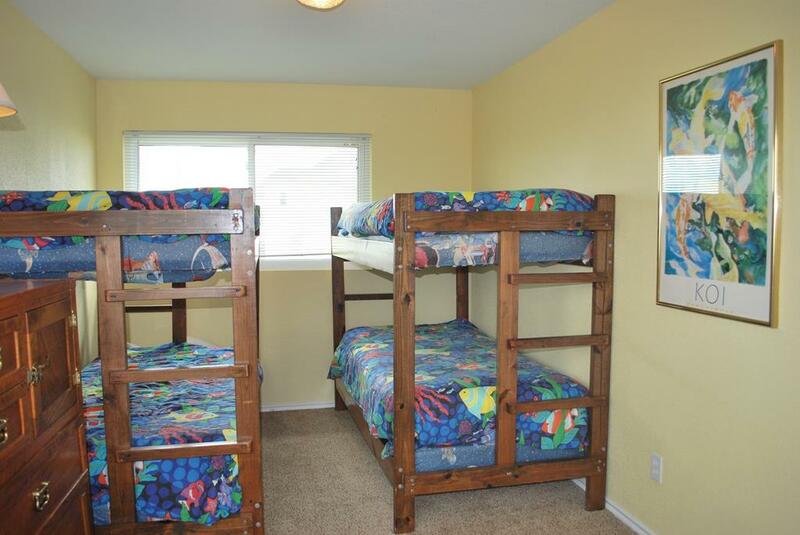 The 4 bedroom house is spacious and accommodated our family of 7 without feeling crowded. The beds were comfortable. The kitchen is spacious and has a pantry. A great partly covered deck to watch the waves and the people on the beach. I would definitely rent this house again. We have stayed at this house before and enjoy this home very much. It is beach front with a gorgeous view. The house stays cool and is well stocked. Definitely recommend it and we would stay here again. Our family really enjoyed staying here. 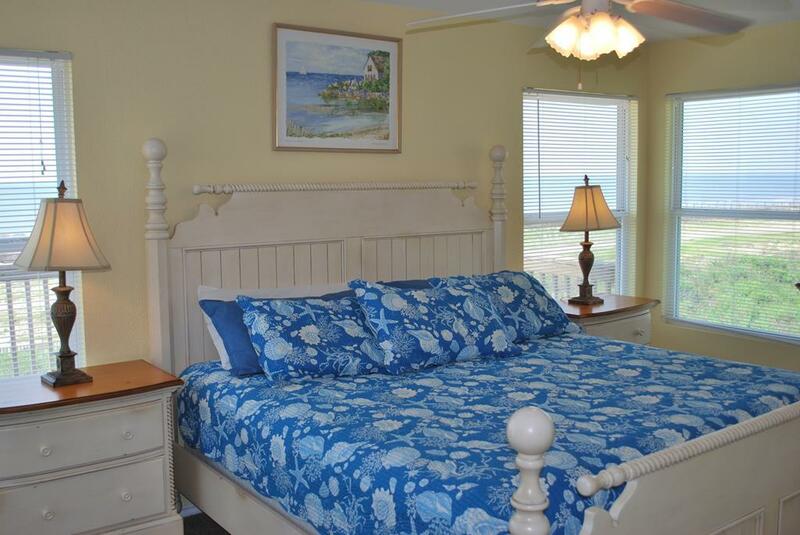 The beach was very clean, the views from EVERY room are excellent, and the house and furnishings, while not brand new, are very comfortable, good quality, and well appointed. Above the Sea is an older home, compared to the new resorts going up, but it is definitely a quaint and comfy home. We loved our stay there and would recommend it to families. The shape of the house allows people to enjoy the deck while giving you a sense of privacy and it blocked the strong wind that was blowing during our stay. 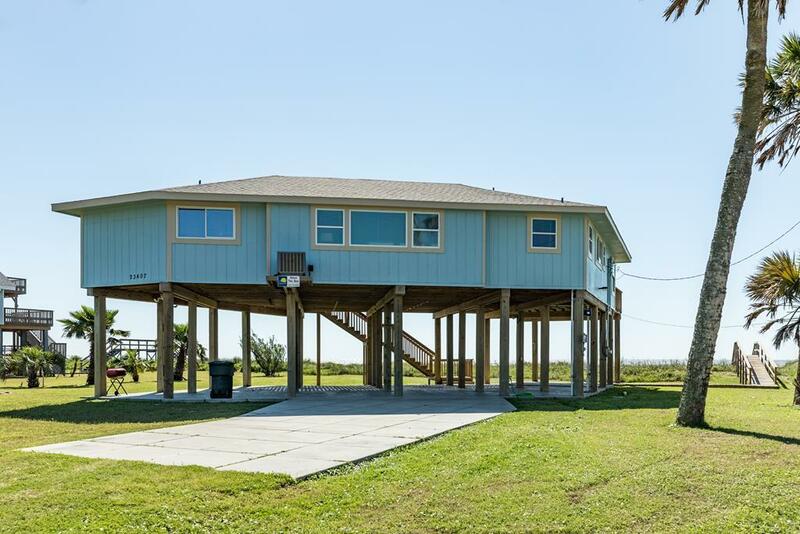 This was also our first time using Sand n Sea and we were very pleased with them that I will definitely use their services again---I've tried others in Galveston and nothing beats Sand n Sea; believe me I've tried! This is a great house. I loved the floor plan with the bedrooms split 2 rooms on opposite ends of the house. There's plenty of storage. We were staying with our daughter and her family (including 2 kids and a baby) so each family had privacy. I also loved the covered deck...very pleasant. Plenty of deck chairs. The private dune walkover right on the property was nice. The outside shower is always a plus. Above the sea was the perfect rental for us and another family to share. Loved the kitchen and new appliances. The deck was wonderful with lots of room and a mix of sun and shade. Great sized pantry meant we didn't have to store food on the counter. Thanks for a great rental experience! Excellent location we love being right on the beach ! 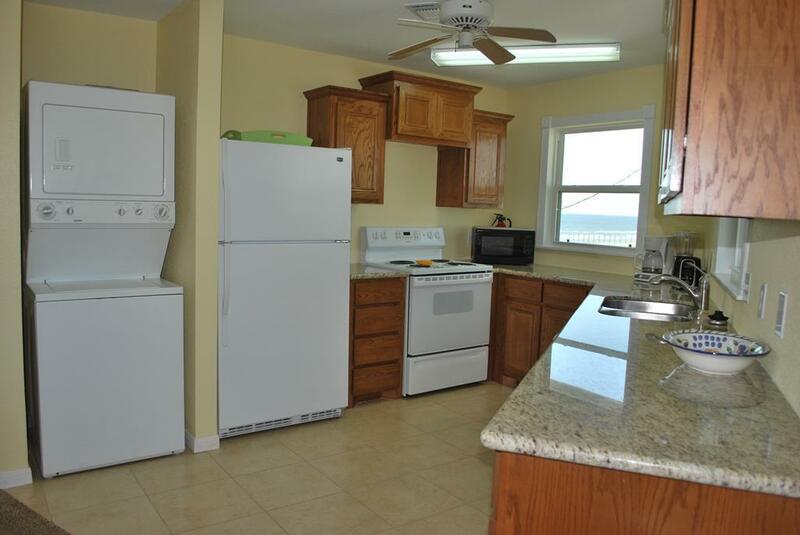 This beach house is very clean and well maintained. The location and view is excellent. This was our fourth time at this beach house and we plan on being their next summer. Very nice property. Far enough from Galveston to get away from the masses and close enough to get there in good time. Quiet, fairly remote at the edge of town, beach is clean and easy to get to. 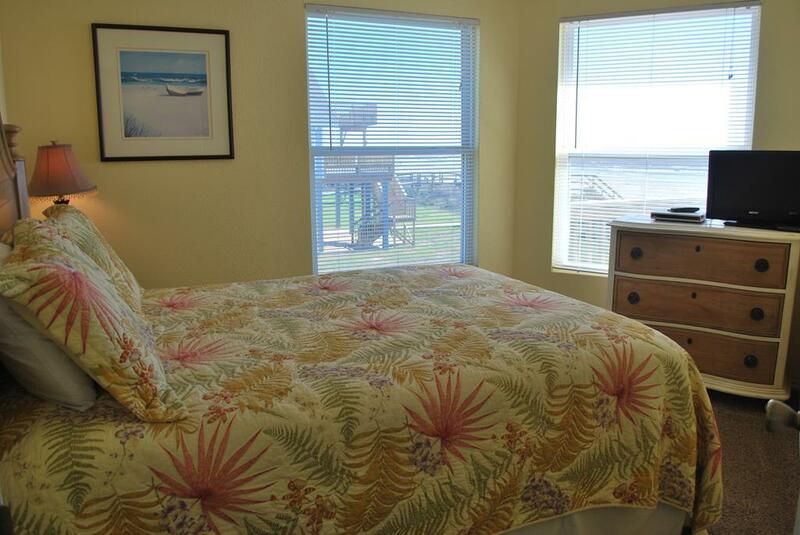 The house is also very clean, comfortable, with all appliances in working condition, and the view cannot be beat! Well equipped kitchen. Good option for girlfriends. Lots of separate beds. This is a wonderful one story floor plan! The deck certainly adds to the comfort of this home! Excellent floor plan for multiple families. House was perfect for our families with 3 young children. We loved the easy beach access and the privacy of the beach. Also, we liked that driving on this part of the beach was not permitted which made us feel safer with our small children. 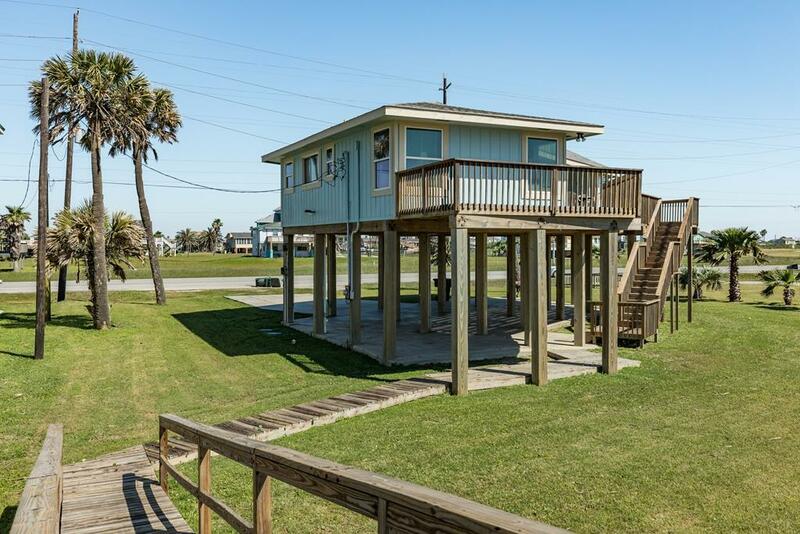 We definitely will rent this house again when we come back to Galveston. Our family stayed for my sister's 50th Birthday celebration. We couldn't have chosen a better home for this occasion. The house has an Ocean View that is just beautiful and we basically had the Beach to ourselves. 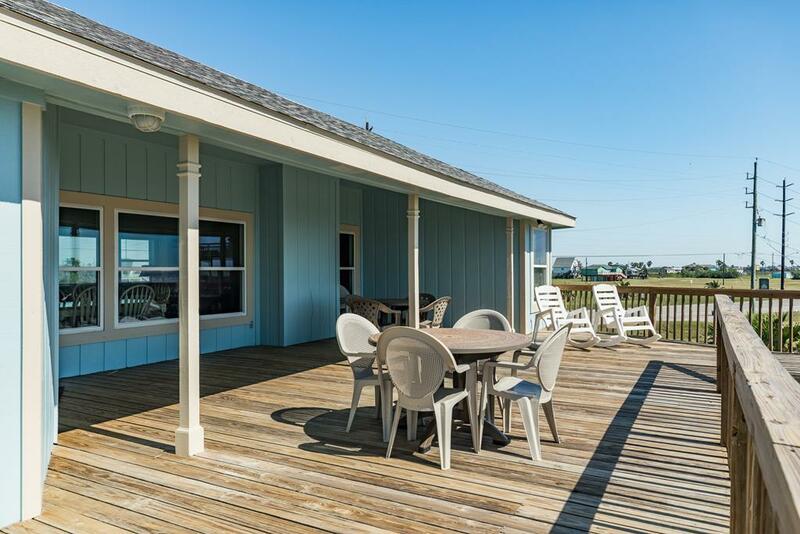 The Deck was enormous and the interior is warm and inviting. The Kitchen was spacious and FULLY stocked. 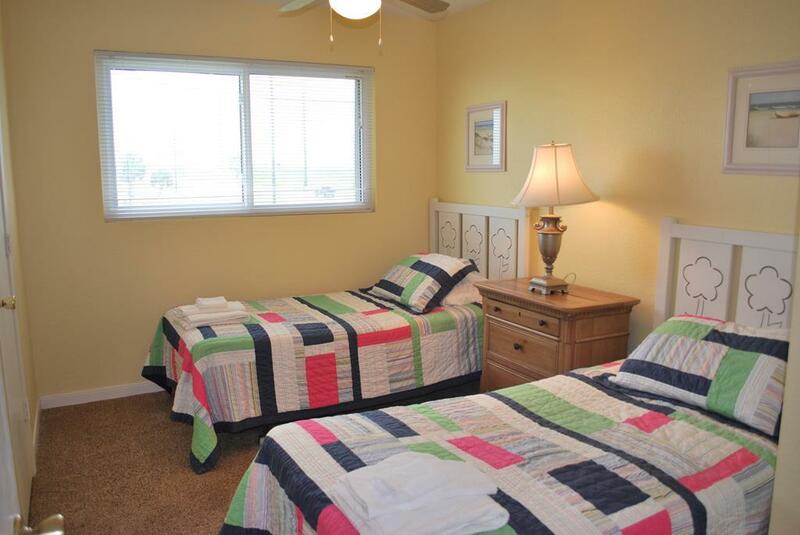 It has state of the art Laundry facilities and the property was immaculate upon arrival. We all cried and didn't want to leave when it was time to go. Vowed to come back for future occasions and vacations. Above all, the Staff is incredible!! They went above and beyond to see that our stay was a memorable one! I've rented through Sand 'n Sea for approximately 15 or 16 years. I've stayed at Above The Sea about 12 or 13 times. 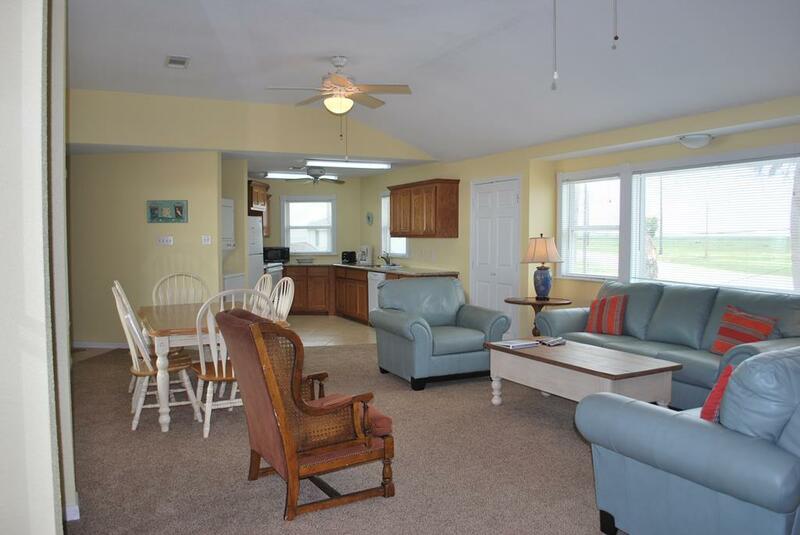 It is a lovely home and spacious enough to accommodate 6 to 10 quite easily. 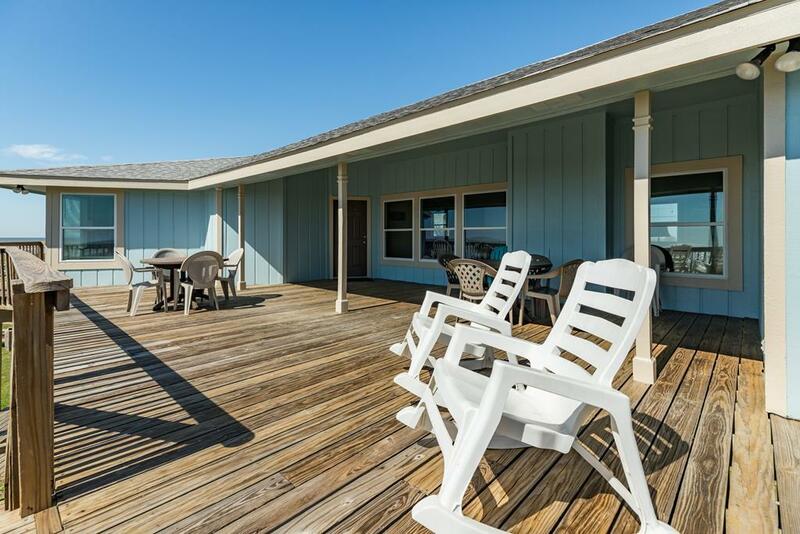 Sits right on the beach front with a great beach viewing deck. The deck has both covered and open areas, which is a must for me. I'll be back next year. Great house with an open floor plan. We had nine in our party - married couple, four adult sons and three girlfriends. We had plenty of room. We were very appreciative of the late checkout (3 pm) that we were offered without even asking. We are always happy to offer late checkouts when possible (especially on days when our office is closed so there are no guests arriving in the home you are staying in) and are glad you enjoyed your stay! Great house! Very clean and not real close to other houses. This house is good for 2 sharing families. Two of the bedrooms are on one end of the house and the other two are on opposite sides. This is a wonderful family house with an amazing view. You basically have the beach to yourself. We had 10 people in our group who stayed for the whole week,and the accomodations were very suffice! We would recommend Above the Sea to ANYONE!! We had ten people (including a 4 year old and 7 year old)in the house and it was great. The only problem we had was ants in the kitchen and bathrooms. Plenty of cookware, dishes etc. We were there the 2nd week in june and while the beach is public access it felt like it was our private beach - no crowds - loved the house and deck. Had a blast. We will be back! Hello Taylor Family! We are sorry you had ants visiting you during your vacation! Above the Sea does have regular pest control maintenance done, but we are always happy to schedule an additional visit if there are any "uninvited guests" during your stay - just give the office a call! We look forward to seeing you again! Very nice home. It is well maintained. The view from the deck is lovely. 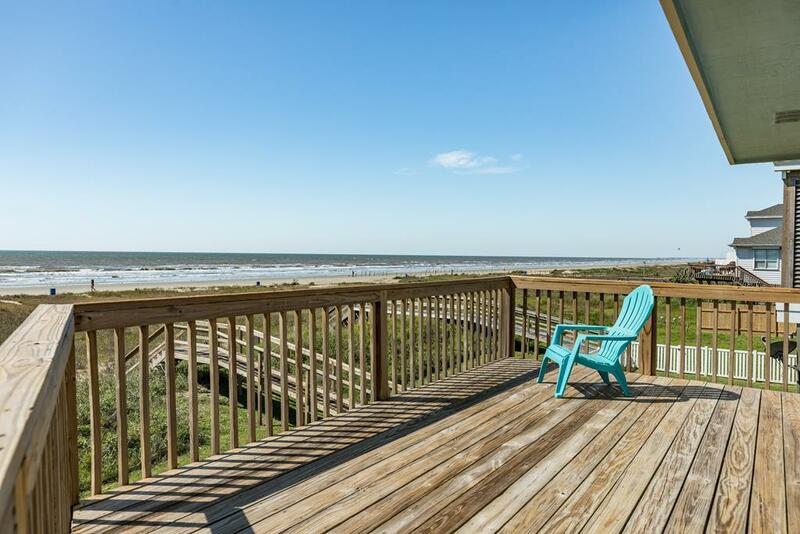 Above the Sea is a great beachfront property, and the deck is awesome! My family really enjoyed that the deck was both covered and uncovered and that both areas could accommodate a large number of people. The set up of the house was convenient too with 2 bedrooms and one bath on each side of the house for multiple family separation. Also, the neighboring houses were far away and there was plenty of privacy. Overall a really nice house. 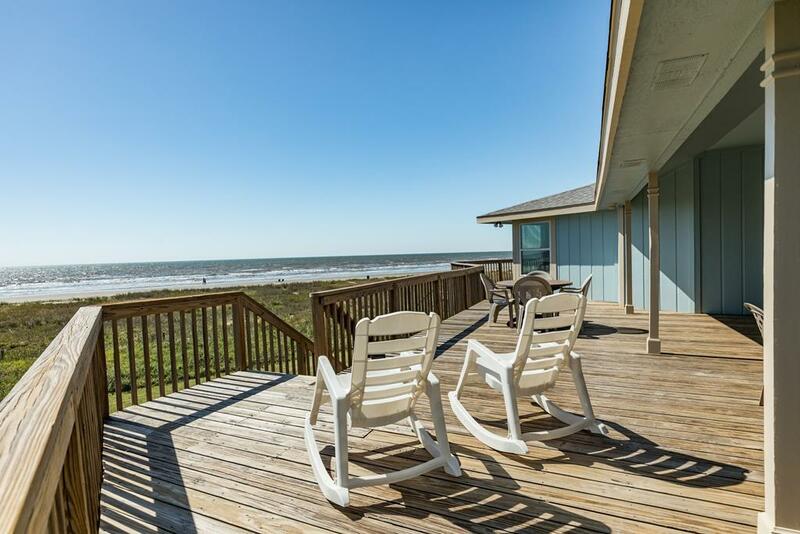 Absolutely perfect rental for our family! You could have two families very comfortably. It is a great split floor plan and spacious. 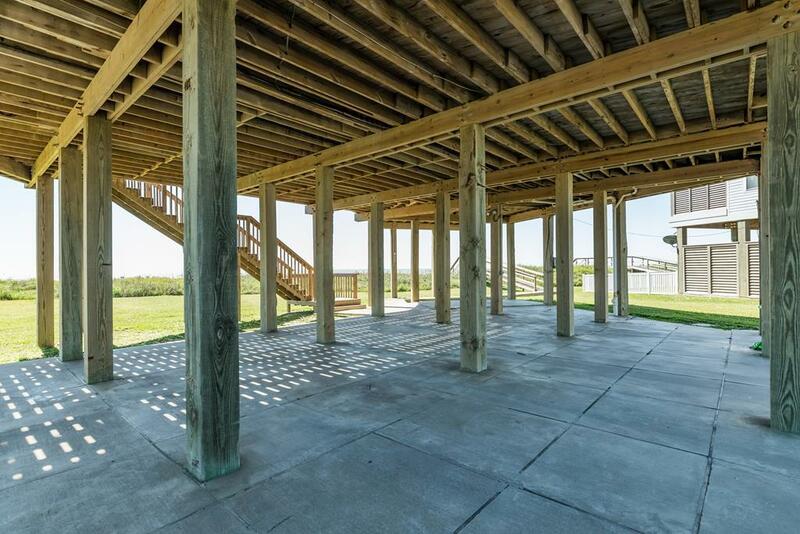 The deck is huge, and perfect beachfront location! It is a drive to get to the strand or restaurants, but well worth it! They have everything you need to cook though, so there is really no need to leave. Just bring plenty of groceries or grab some on the way in! 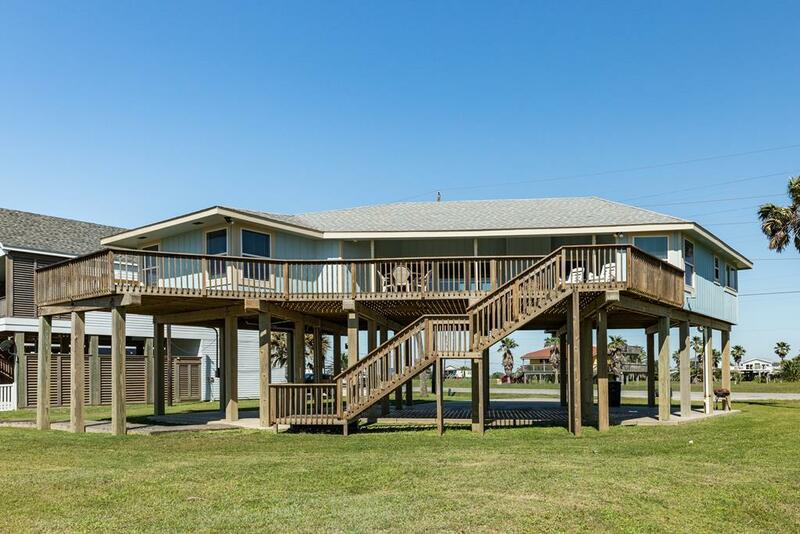 Above the Sea has the biggest deck we've seen looking out over the beach. Great to enjoy coffee/cocktails/watching little one play in the sand. Great floor plan -- never felt crowded even with 6 adults and a three year old.